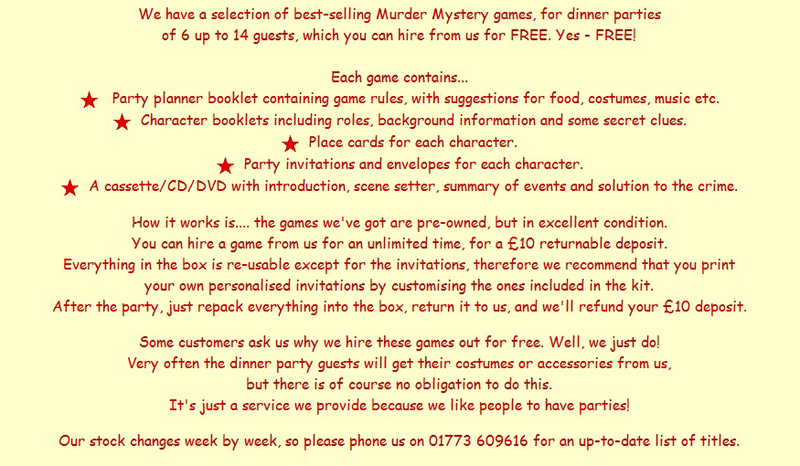 Murder Mystery Party kits for hire, for free! FOR FREE???? Yes, FREE! 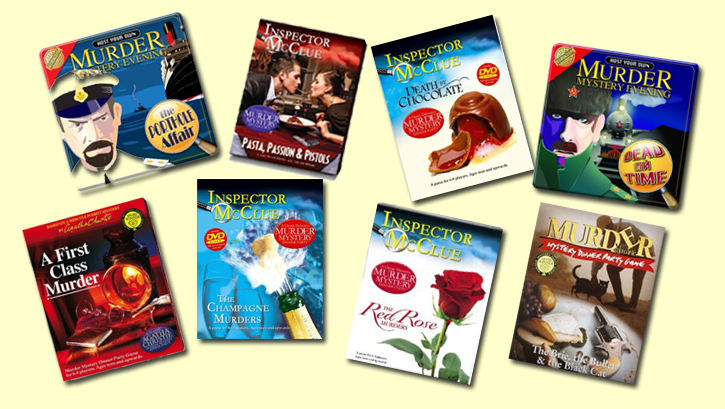 Scroll down to find out how, why, what, when, and where! 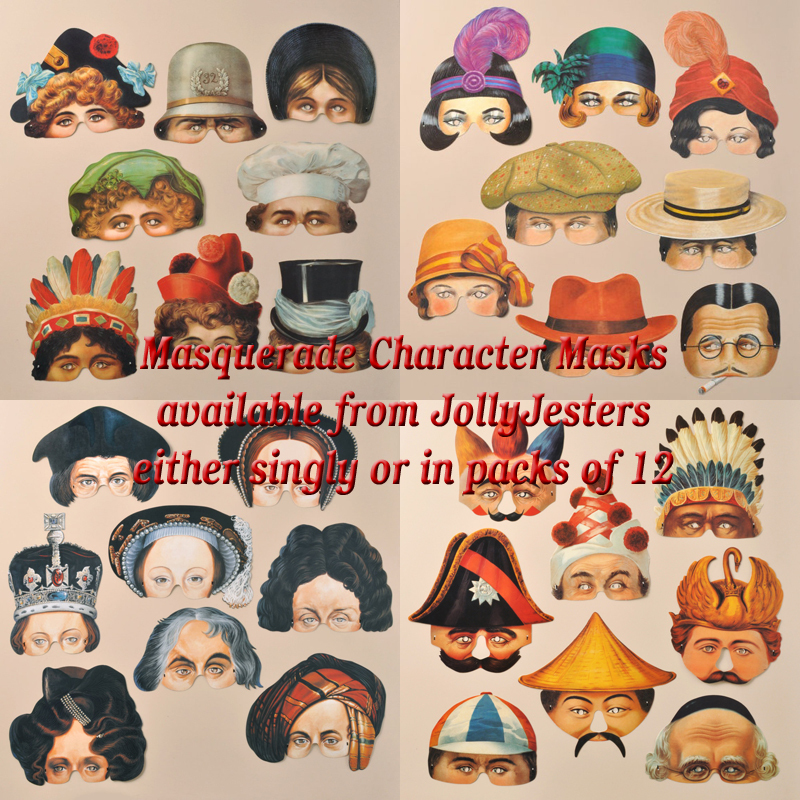 If you are hosting a Murder Mystery party and would like to provide each of your guests with a character mask, we've put together a few sets of 6, 8, 10 and 12 masks which work perfectly for the characters in some of the Murder Mystery Kits above.